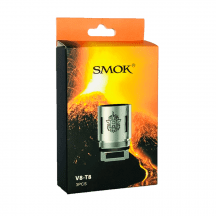 With the TFV8 and TFV12 lines of sub-ohm tanks, SMOK has created some of the most popular and highest-performing vaping tanks on the planet. Unfortunately, they’ve also created one of the most confusing naming conventions on the planet. You’ve got the TFV8 Cloud Beast, the TFV8 Baby Beast, the TFV8 Big Baby and the TFV8 X-Baby. They’ve all got the TFV8 name, so you’d think that all TFV8 coils would work with all TFV8 tanks. Nope! While TFV8 Baby Beast and Big Baby coils are interchangeable, the TFV8 Cloud Beast and TFV8 X-Baby tanks both use their own coils. If you’re looking for SMOK TFV8 X-Baby coils, you’ve come to the right place. With the TFV8 and TFV12 lines of sub-ohm tanks, SMOK has created some of the most popular and highest-performing vaping tanks on the planet. Unfortunately, they’ve also created one of the most confusing naming conventions on the planet. You’ve got the TFV8 Cloud Beast, the TFV8 Baby Beast, the TFV8 Big Baby and the TFV8 X-Baby. They’ve all got the TFV8 name, so you’d think that all TFV8 coils would work with all TFV8 tanks. Nope! While TFV8 Baby Beast and Big Baby coils are interchangeable, the TFV8 Cloud Beast and TFV8 X-Baby tanks both use their own coils. If you’re looking for SMOK TFV8 X-Baby coils, you’ve come to the right place. All Vapors Planet vaping coils are guaranteed authentic, and all retail orders ship for free. 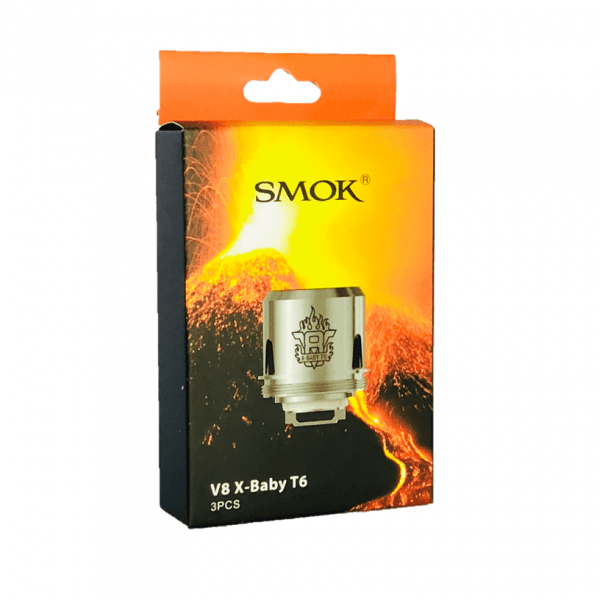 What’s Special About the SMOK TFV8 X-Baby? Comparing the SMOK TFV8 X-Baby vs. Baby Beast, the difference is that the SMOK TFV8 X-Baby has its airflow vents positioned on the top rather than the bottom. Does that feature alone merit an upgrade to the TFV8 X-Baby? It depends on your priorities. Some people find that the original TFV8 Baby Beast produces bigger clouds and is less likely to give you a dry hit during heavy vaping. On the other hand, the top airflow design of the TFV8 X-Baby makes leaking almost impossible. If you’ve ever experienced a leak with your TFV8 Baby Beast, that difference alone might merit an upgrade. 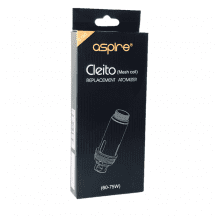 Top airflow tanks also tend to be a bit quieter during use compared to bottom airflow tanks. You’ll hear nothing but a smooth, subtle “whoosh” when vaping with the TFV8 X-Baby. If you don’t own a SMOK sub-ohm tank already, the TFV8 X-Baby is a great place to start. With up to six individual heating wires per coil, the TFV8 X-Baby was born to create huge vapor clouds and deliver a rich, flavorful vaping experience. Filling the SMOK TFV8 X-Baby is incredibly quick and convenient. Just flip open the top hardware to reveal the top filling port. Add your e-liquid and push to close the lid. 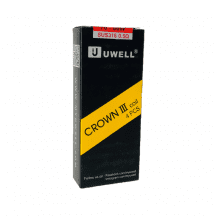 A sturdy silicone gasket seals the filling hole and prevents your e-liquid from leaking. 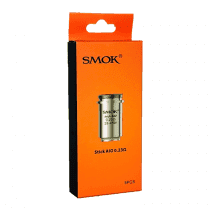 We carry three different SMOK TFV8 X-Baby coils. All coils use kanthal heating wires and organic cotton wicks. X4 Coil: 0.13 ohm. Suggested operating range of 30-70 watts. For direct-to-lung inhaling. Four total heating wires. Q2 Coil: 0.40 ohm. Suggested operating range of 40-70 watts. For direct-to-lung inhaling. Two total heating wires. T6 Coil: 0.20 ohm. Suggested operating range of 40-110 watts. For direct-to-lung inhaling. Six total heating wires.